Calling all fans of “The King;” the Elvis Presley train is pulling into the station again with some friends in tow. HBO will be premièring a new Elvis Presley documentary April 14, and this is the Soundtrack to the film with a lot of extra material. The music of Elvis has been released many times and in just about every format imaginable. The 18 tracks from the documentary, when taken apart from the film may seem like an eclectic group, but that is part of their charm. From his early Sun material, “My Baby Left Me,” “That’s All Right,” and “Baby Let’s Play House,” to the immortal “Hound Dog” and “Heartbreak Hotel,” to some lesser known tracks, “Milky Way,” “Like A Baby,” and a rehearsal version of “Separate Ways,” it is a different approach to his music and legacy. The other 37 Elvis tracks follow the same pattern. While the former fit into the documentary; the rest of the material by Elvis has a seemingly random approach and so you take the good with the bad. I’m not sure I need another copy of “Suspicious Minds (Take 6)” or a rehearsal version of the Bee Gees “Words,” but tracks like “Reconsider Baby,” “You Gave Me A Mountain,” and “An American Trilogy” are always welcome. It is the third disc that sets the release apart. Mike McCready (Pearl Jam) contributes “Dissolution” and “Rebound,” while Petty’s cover of “Wooden Heart” is present. 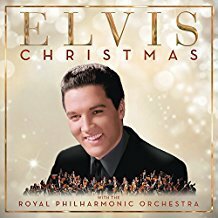 It is the music that purportedly influenced Elvis that makes the disc worthwhile. Arthur “Big Boy” Crudup’s version of “That’s All Right” is still a raw experience, while Howlin’ Wolf’s “Smokestack Lightning” explores the beginnings of rock and roll. Bill Monroe’s “Blue Moon Of Kentucky” examines Elvis’ early sound from a country perspective. Throw in such forgotten performances as “Mystery Train” by Little Junior’s Blue Flames, “She May Be Yours But She Comes To Me Sometimes” by Joe Hill Lewis, “Rocket 88” by Jackie Bernston, and “Write Me A Letter” by the Ravens are worth the price of admission. 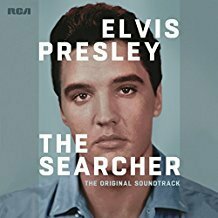 The Searcher” examines the music of Elvis Presley from a different perspective. Taken outside of the film, it is an interesting listen with a lot of good music. When Elvis Presley’s “Good Luck Charm” reached number one on the Billboard Magazine pop Singles Chart, it was the seventh consecutive year he had a single reach the top of the charts, which was a record at the time. The Beatles would equal it, 1964-1970. By 1962, Elvis had reached a transition point in his career. His military service was in the past and now he was concentrating on films. His music was moving from rock ‘n’ roll to more of a pop sound that would increasingly appear on his movie soundtracks. Elvis entered the RCA Nashville recording studio, October 15-16, under the direction of co-producers Steve Sholes and Chet Atkins. Some of the musicians present were guitarists Jerry Kennedy & Scotty Moore, bassist Bob Moore, pianist Floyd Cramer, drummer D.J. Fontana, and sax player Boots Randolph. “Good Luck Charm” was a mix of rock and pop that, despite all the backing musicians, kept the main focus upon Elvis’ voice. It was a simple story type song that dominated the pre-Beatles era. It was a mid-tempo tune that bubbled along and was perfect for radio play at the time as it just stayed in your mind. Background vocals were by the Jordanaires and female singer Millie Kirkham. Gordon Stoker of the Jordanaires provided the duet vocals. 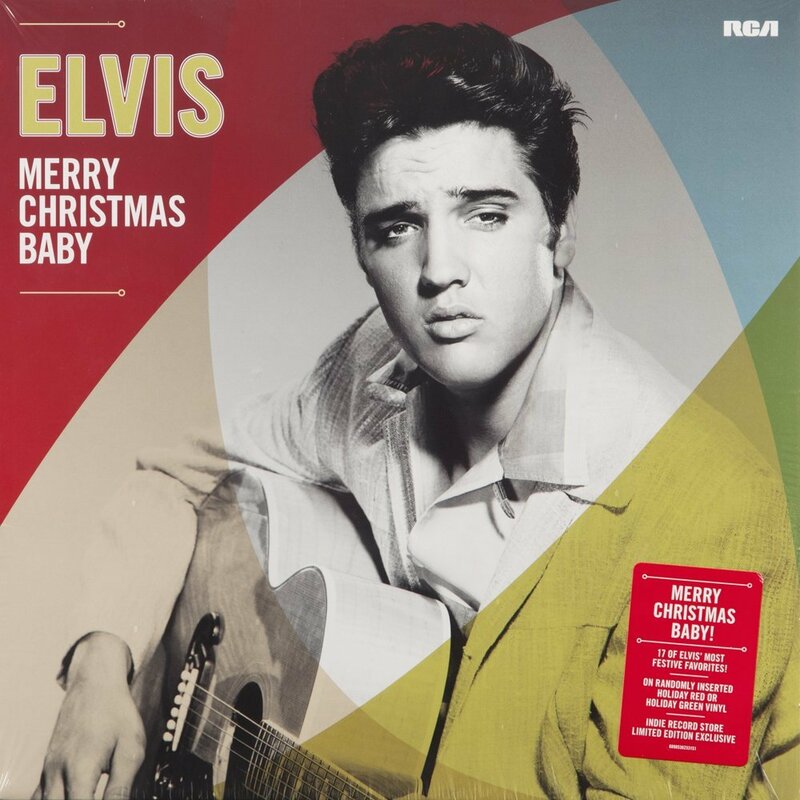 The song Elvis replaced was “Johnny Angel” by Shelley Fabares of the Donna Reed Show fame. She would later co-star in three movies with him. The song would also signal a downturn in Elvis’ career. While he would continue to have hit songs, he would not have another chart topper for seven years when “Suspicious Minds” reached number one during 1969. “Good Luck Charm” may not be Elvis’ most memorable or best single release but it was very good in its own right. Over one million Elvis fans thought it good enough to purchase the seven inch 45 back in 1962, which enabled it to become the number one song in the United States on April 21, 1962 for two weeks. The music world came to a halt during late December, 1958, when Elvis received his draft notice. Fans suffered without him until March 5, 1960, when he received his honorable discharge, and all was right with the world again. His manager, Colonel Parker, welcomed him back by booking studio time and during several marathon sessions; he produced enough material for his Elvis Is Back album and a number of singles which he released during the course of the next year. At the time, his singles were not released as a part of his studio albums. They had a life of their own and the only way to own the music was to purchase these small 7” vinyl 45s. These early post army recording sessions produced several number one singles. “Stuck On You,” “It’s Now Or Never,” and “Are You Lonesome Tonight” all topped the Billboard Magazine Pop Singles Chart during 1960 for a combined 17 weeks. The fourth number one single of his post army career reached the top of the charts March 20, 1961, where it remained for two weeks. Doc Pomus and Mort Shuman wrote 25 songs for Elvis, but to be honest they stole this one. “Surrender” was taken from a 1902 Italian Neopolitan song named “Come Back To Sorrento.” It was an up-tempo love ballad that reminds me of Spanish bull fighting, complete with castanets. It was straight pop and would look ahead to Elvis’ movement away from rock ‘n’ roll toward a more slick sound. It would top the American charts for two weeks. It was also one of the shorter number one singles in American music history as it clocked in at just less than two minutes. For better or worse, Elvis’ career would quickly move in a movie star direction, which would combine good material with some not so good. But back in 1961, the sun was shining, “Surrender “was number one, and Elvis ruled the music world. “Are You Lonesome Tonight” had a long history before Elvis Presley ever got a hold of the song. It was written by Lou Handman and Roy Turk during 1926. Handman recorded his own version in 1927, with him playing the piano and his sister Edith as the vocalist. Blue Barron, whose real name was Harry Freidman, was an orchestra leader during the big band era. He had a hit with the song in 1950, reaching number 19. Al Jolson recorded a version of the song that same year. Elvis Presley was released from the Army, March 2, 1960. He was greeted by his manager, Colonel Tom Parker, who ushered him into the recording studio in early April. He recorded a number of singles which were not issued on an album plus the tracks for his Elvis Is Back release. The session produced two number one singles. 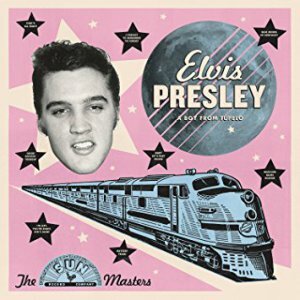 “It’s Now Or Never” and “Are You Lonesome Tonight” were vastly different in style but both would signal a more pop direction for the maturing Elvis. Both songs would also top The American singles charts. It’s Now Or Never” would have a five week run at the top during the summer of 1960 and “Are You Lonesome Tonight” would begin its six week stay at the top beginning November 28, 1960. They would rank as the 10th and 8th most popular singles of the decade. Elvis’ version of “Are You Lonesome Tonight” would become one of his signature songs. He would pattern the music after the Blue Baron interpretation but the vocal would be taken from Al Jolson. It was Elvis’ emotional dialogue that won over many of his fans. This slow ballad remains instantly recognizable over a half century ago was responsible for Elvis truly being the king. You are currently browsing the archives for the Elvis Presley Reviews category.